If you wanted to have a taste of Japan, the Sandaime at Eastwood City, Libis is where you should want to go. Sandaime wishes to deliver good quality seafood from the famous Tsukiji Fish Market located in Central Tokyo. This restaurant's specialties include sushi and sashimi. Sandaime's menu has a wide selection of premium Japanese dishes. It's top dishes are salmon, ramen, gyoza, katsu and sushi. Main dishes were served in big portions and the best for heavy eaters, they also have side dishes, starters and soups. Salads were generously served and presentable. There are also many options to choose from for their sushi and sashimi. The Dynamite Roll is a must try with its creamy, sweet and spicy combo. The Scallop and Cheese Roll Sushi is also recommended to try. Besides seafoods, their menu also offers meat and steaks in their Shinjuku Selection. Different noodles and different curry katsu is also served. You can also choose different Japanese kinds of rice. And of course, every Japanese restaurant prided themselves for their tempura and ramen, their popular meals that are loved by our country. Desserts are also a must try and they have a wide selection for beverages. 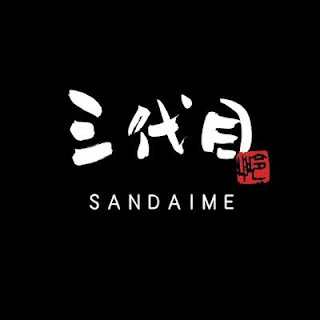 If you're in it for authentic and really comforting food from the 'Land of the rising sun', you should come and visit Sandaime at G/F Eastwood Mall, Libis, Quezon City.